Published on February 19, 2019 in General T&T, International, USA and Venezuela. 0 Comments Tags: Nicolás Maduro, Sanctions. Gregory Shupak examines the silences that organize the mainstream media’s coverage of the crisis in the Caribbean nation. A UN rapporteur declares that “sanctions kill” (Independent, 1/26/19)–but few in Western media are listening to his message. Published on February 11, 2019 in Finance, International, Recession, USA and Venezuela. 0 Comments Tags: Coup, Ellen Brown, Hugo Chávez, Nicolás Maduro. Published on February 11, 2019 in General T&T, International, PNM, Politics, UNC, USA and Venezuela. 3 Comments Tags: Donald Trump, Kamla Persad-Bissessar, Keith Rowley, Nicolás Maduro, Politics, Stephen Kangal. I am getting the impression that although we are mere seven miles from Venezuela, have potential energy interests there to safeguard and cultivate we also have even more compelling economic, technical co-operation and diasporic interests within the USA that is in fact our largest trading partner and source of actual and promising huge investment prospects. Why is T&T giving undue precedence to propping up illegitimate and dictatorial Maduro and humiliating the USA in our current foreign policy posturing? Published on February 6, 2019 in General T&T, International, USA and Venezuela. 6 Comments Tags: Coup, Nicolás Maduro, Politics, Raffique Shah. Sitting as we are in Trinidad and Tobago on ringside seats watching the political crisis in Venezuela unfold, events are moving so quickly they appear to be spiralling out of control. The apparent chaos was scripted in Washington over more than a decade, with only the key actors’ names and roles changing to suit the dynamics of regime-replacement. The aim of the exercise, as one of my lecturers in military warfare used to prefix his sessions, is to remove Nicolas Maduro from the presidency of Venezuela by any means necessary, and replace him with a compliant candidate, once the puppet understands that when he is installed in office, he complies with the dictates of the US State Department. Published on February 6, 2019 in General T&T, International, Russia, USA and Venezuela. 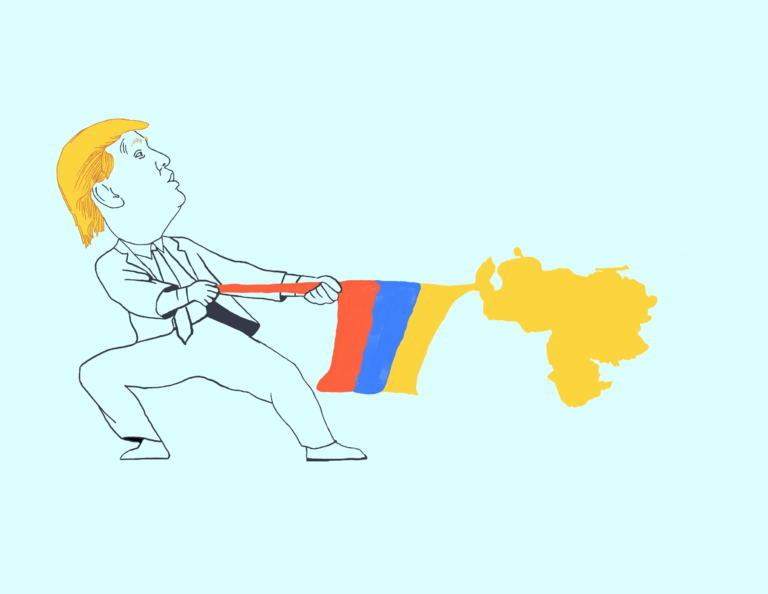 0 Comments Tags: Coup, Donald Trump, Nicolás Maduro.